A dual carriageway linking north west Preston with the M55 motorway has been given the go-ahead. The route – known as the Preston Western Distributor (PWD) – has cleared its final legal hurdle, after the government approved a series of compulsory purchase orders allowing the required land to be bought up. Work is now expected to begin later this year and the 2.5-mile stretch of road is due to be completed by 2023. 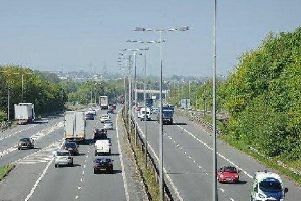 It will connect Blackpool Road and Riversway in Preston to a new junction on the M55 at Bartle. The road is a key part of plans to build 5,300 new homes to the north west of Cottam over the course of two decades. Objections to the forced acquisition of the land across which the road will run were heard at a public inquiry last November. But the Housing, Communities and Local Government Secretary, James Brokenshire, has now ruled that Lancashire County Council can press ahead with its plans to roll out the new route. Planning permission has already been granted for the £161m scheme. 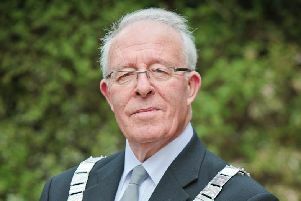 Keith Iddon, cabinet member for highways at the authority, said the link road was another piece in the jigsaw to better connect the county. “We’re a growing population and we do need a lot of new housing in Preston,” County Cllr Iddon said. “But we also need the infrastructure to keep people moving, because if we’re not careful, we won’t be going anywhere. “It’s always better when you can agree to purchase land amicably. But in this case, there were a lot land agents involved and some people didn’t want to give up their land at all. “In that situation, it’s right that the Secretary of State makes the final decision,” he added. Philip Asquith, the planning inspector who recommended that Whitehall approve the compulsory purchase orders, said he was satisfied that the land to be acquired has been kept “to a minimum”. “The concept of the PWD has been mooted for some 50 years and the scheme is a central tenet of local strategic and development plan policy,” Mr. Asquith said in his report. As the local democracy reporting service revealed last month, a separate legal challenge to the route – from a landowner who wanted to secure roundabout access to a proposed garden village on his part of the masterplan plot – was dropped last month. The Preston Western Distributor will also be adjoined by two other new link roads running east to west across the masterplan area – one connecting to Cottam Way and the other to Lightfoot Lane. Part of the latter has already been completed to serve an estate which is currently being built. IS A BRIDGE OVER THE RIBBLE NOW ANY CLOSER? The Preston Western Distributor (PWD) has often been mentioned in the same breath as long-vaunted plans for a bridge over the River Ribble. But while the PWD seems set to leave the drawing board and finally become a reality later this year, the Ribble bridge is yet to find similarly firm foundations. The possibility of a cross-river link was last mooted in a proposal from the county’s economic growth body, the Lancashire Enterprise Partnership, back in 2016. It described a vision of an uninterrupted dual carriageway between the A582 at Cuerden and the M55 – via the new Penwortham bypass and across the river to join the planned Preston Western Distributor Road off the A583. However, any scheme was not expected to begin until 2026. It would also likely be dependant on a South Ribble Western Distributor (SRWD) road – which involves turning the existing A582 into a dualled route. That project is on a list of City Deal schemes currently in development, but a recent meeting of the board overseeing the projects heard that the SRWD faced “budget pressures”. However, a progress report noted that “good progress” was being made in designing the upgrade – meaning it is probably a much more imminent prospect than any bridge to link it with its similarly-named counterpart on the other side of the river. Lancashire County Council’s head of planning, Marcus Hudson, told a joint committee of district councils in January that a Ribble bridge was “in the mix” at the start of a process to set out the county’s long-term transport plans. WHAT IS BEING BUILT AND WHERE? Preston Western Distributor Road – a 70 mph, 2.5 mile stretch of dual carriageway linking the A583 Blackpool Road and A5085 Riversway with a new junction 2 of the M55 motorway. Includes a shared cycleway and footway. East-West link road – a 2-mile single carriageway, with speeds ranging from 20-40mph, linking Lightfoot Lane with the new Preston Western Distributor. 200m of the route has already been built, connecting to a new housing development which is already under construction. It will eventually connect to the Preston Western Distributor close to the Saddle Inn on Lea Lane. Cottam link road – a short 0.4-mile route, connecting Cottam Way with the Preston Western Distributor.